We thought we had everything ready for the new school year but some things just happen unexpectedly. It was the second day of school and my almost-seven-year-old daughter Nini had to skip attendance because she was complaining of a terrible toothache. So my husband and I took her to a small clinic at the Fairview Center Mall after office hours for her first ever dental checkup. The female dentist was nice and accommodating. She had this little camera connected to a monitor (which was quite nifty) that helped us see our unica hija's little teeth in great detail. The doctor was impressed with how well maintained most of Nini's milk teeth are but saw some problem areas. We learned that a couple of her upper molars, as well as the two lower front teeth, are already permanent and thus need extra care. One milk tooth was in bad shape and needs to be extracted as soon as possible so the pain does not ever come back. The dentist prescribed antibiotics for a week for the pain and then scheduled Nini for her first prophylaxis, after which the decayed teeth will be removed. As for Nini, she was relatively calm as she sat on The Chair. I guess it helped that both her ma and pa were with her. She was reminded to cut back on the sweets and candies and of course, to brush her teeth thoroughly and frequently. When we got home, I caught her looking longingly at a lone ube candy just sitting there. I know she wanted it and I saw the effort she made not to touch it. Way to go my little girl! Me: You know what sort of foods are good for your teeth? Carrots. You try munching on them. Tignan mo rabbits, they have NO cavities. Errr. That sent me thinking. I had to Google and I just learned that rabbits actually have a complete set of teeth, 28 in all. Will have to re-educate Nini later, I suppose. Haha! way to go big girl! :) something to learn...so 28 din pala nag ngipin ng rabbits haha. Great story! 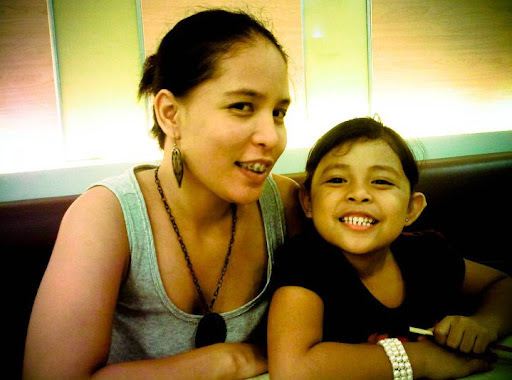 I remember my dentist makati while reading your post, She's my dentist since early age. Thanks for sharing!